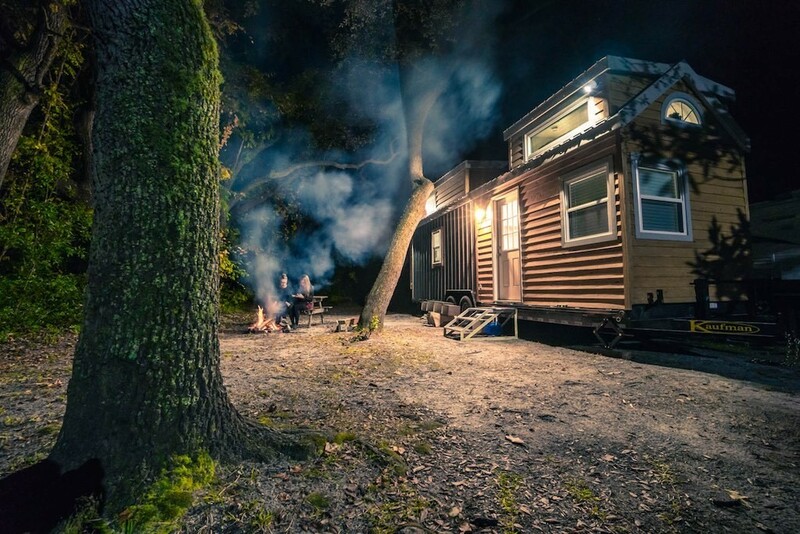 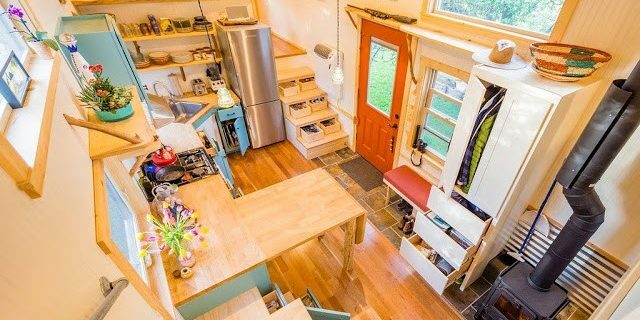 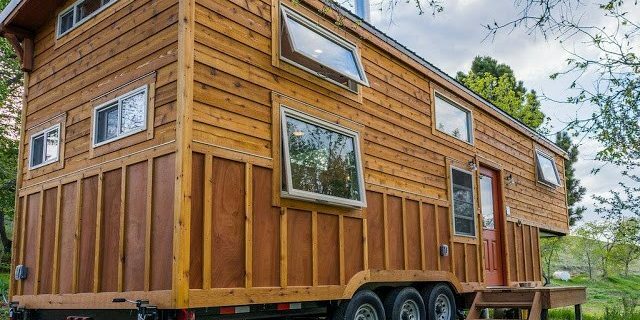 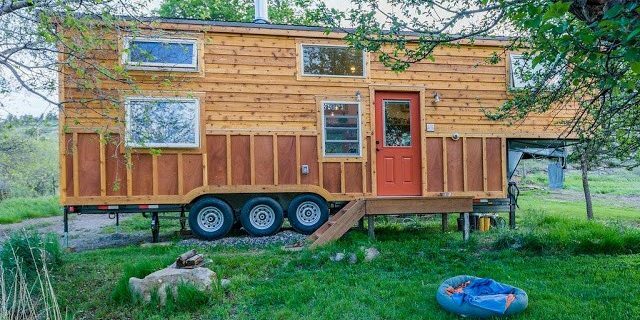 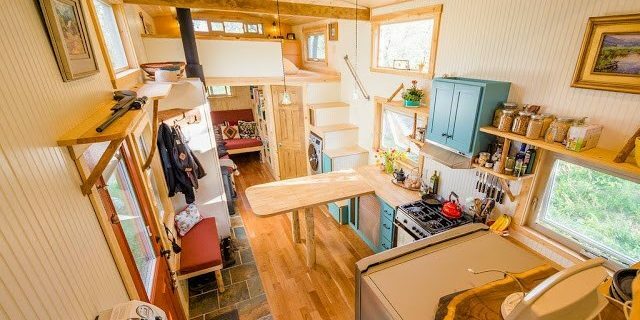 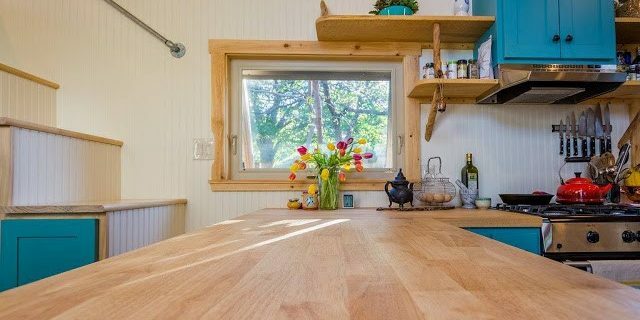 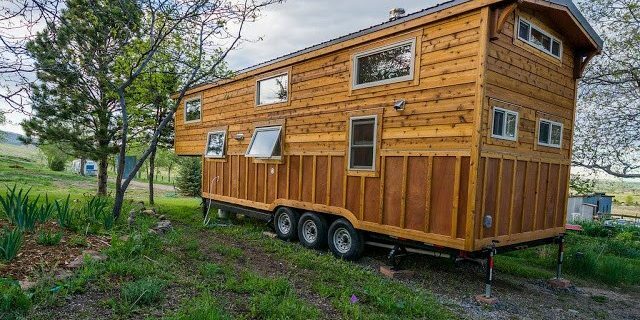 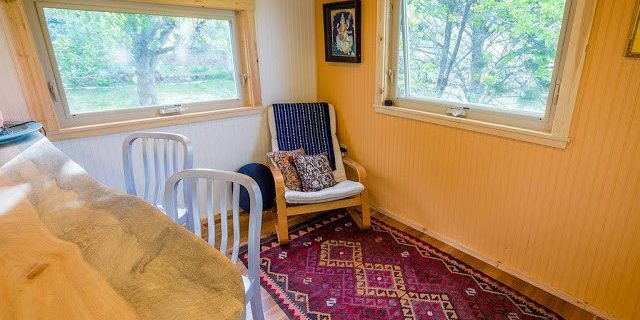 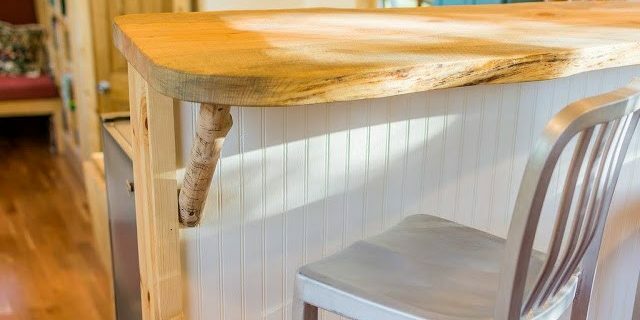 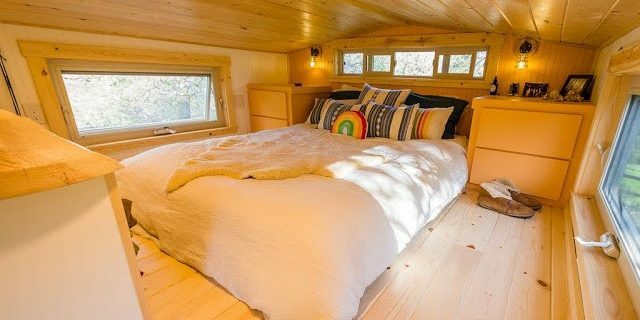 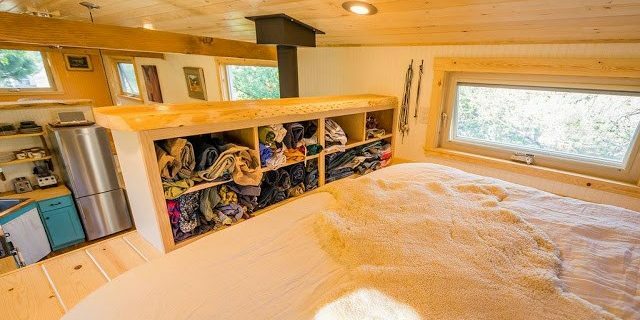 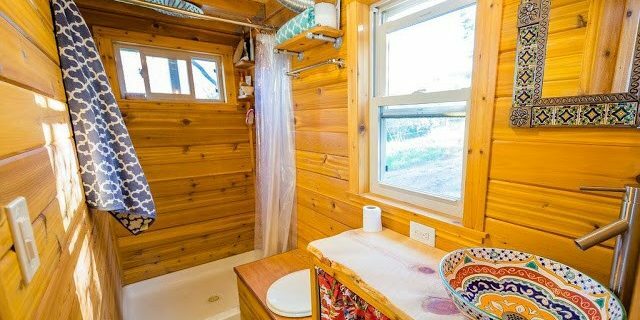 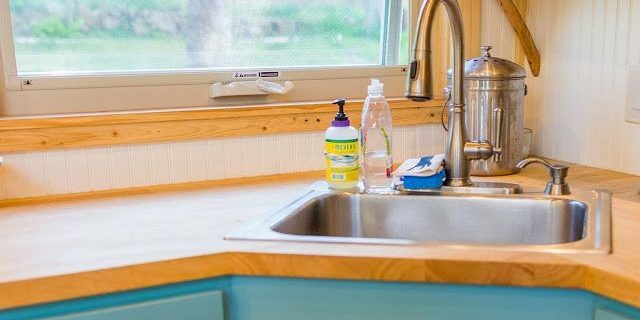 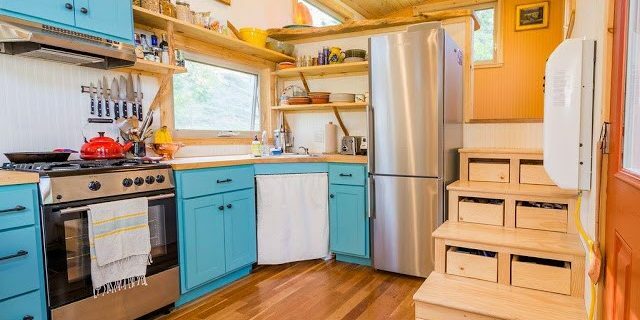 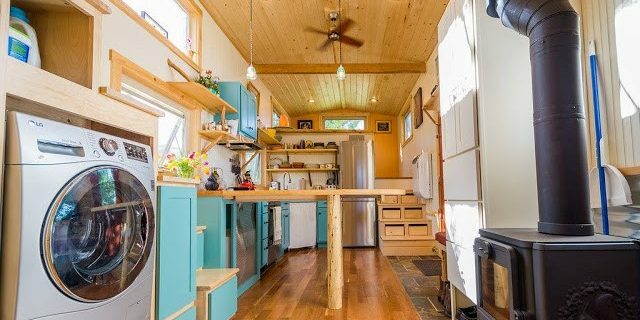 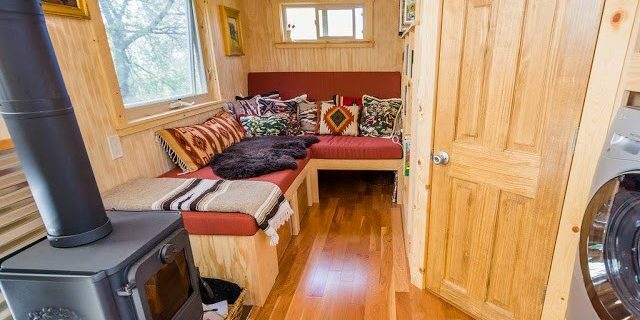 The house is a custom build with larger-than-usual dimensions for a tiny house at 33′ x 10′. 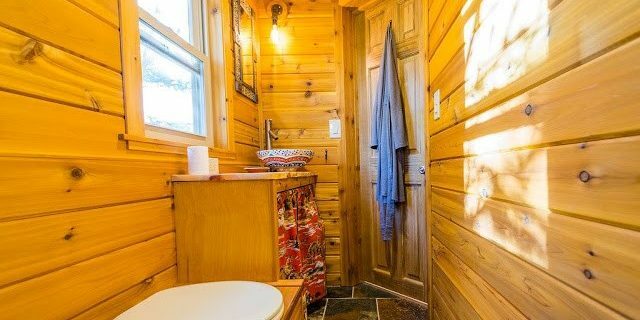 Its exterior features cedar siding, with cherry wood flooring inside and slate tile in the entryway and bathroom floor. 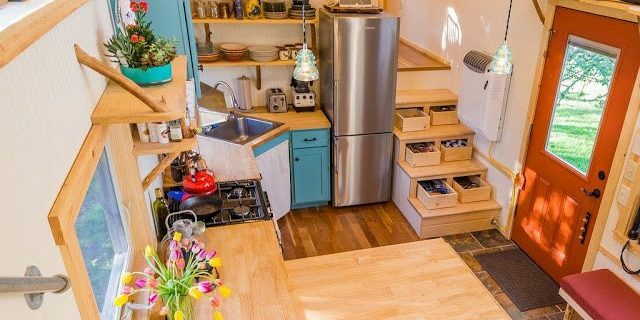 The layout boasts a gorgeous wrap-around kitchen in the center of the home, a fold-out dining table, a bathroom, and two loft spaces!